I was a little more than excited when I found this invite in my inbox a few weeks ago. I did some research, but I did not need convincing. Not only because it was a rum food pairing event hosted by a Sixth Generation BACARDÍ family member, but I was venturing to the City Centre! I was lucky enough to have a plus one for the takeover and I thought to myself, who would like to join me at an event such as this? Turns out if you mention a rum food pairing event to your friends, they’re suddenly all free. My friend Julie was more than happy to join me, as a lover of rum – well, really any kind of alcohol to be honest – she was the perfect partner. The miserable, rainy and windy Wednesday night did not deter us, we knew that as soon as that first drop of cool classic daiquiri touched our lips, we would be transported to a Caribbean island, despite the fact I was wearing a woollen jumper and tartan trews. We wandered along Mitchell Street into So L.A. and waited at the bar to be invited down to the private multifunctional event space The White Box. Opening in November 2018, So L.A and The White Box is the latest venture by Rusk & Rusk, the restaurant, design and lifestyle company. Rusk & Rusk own restaurants and bars including The Spanish Butcher, The Butchershop Bar and Grill, Hutchesons City Grill and The 158 Club Lounge. 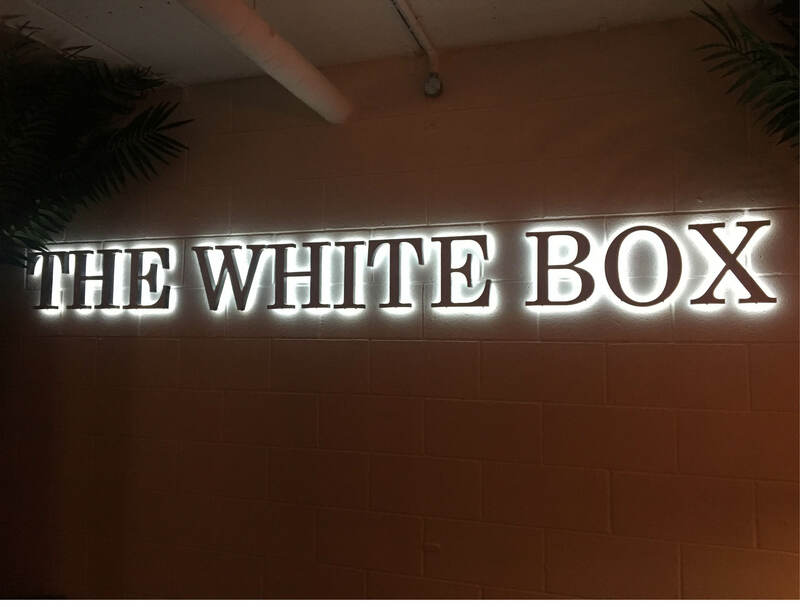 Knowing the quality of the food, drink, interior and ambience of these places, we were even more excited to see what The White Box had in store; it exceeded our expectations. From the private bar, to the drinks luge to the urban garden that was created in the main dining area, everywhere we looked was ‘Instagrammable.’ With a daiquiri in one hand and a slow cooked beef empanada with sweetcorn and chilli in the other, it was a perfect pairing. We could’ve enjoyed those appetizers all night as we propped ourselves at the bar. The energy in the room was spirited, it was easy to tell that everyone was excited for the culinary journey to continue. We finished our appetizers and took our seats at our assigned tables. James Rusk of Rusk & Rusk hyped us all up for BACARDÍ rum maestro Adolfo Comas’ entrance. Adolfo is a sixth-generation member of the BACARDÍ family, who hosted the event and gave an incredible speech at the beginning of the meal. Listening to him tell the story of his three times great-grandfather’s endeavours and efforts creating the BACARDÍ empire was completely captivating. Honestly, it would make an incredible movie. It was such an inspiring story about humble beginnings, perseverance of dreams, determination in the face of doubt and love and support from family through it all. I mean, I’d buy a ticket to see that film. As our starters were served, Julie and I looked at each other as if to say, ‘this looks ridiculously delicious, can I please have your too.’ Presented before us was a blood orange and rum cured salmon tostada with avocado butter and white nectarine. If your mouth isn’t already salivating, it will in a minute. This tasty starter was paired with an Airmail, a twist on a classic daiquiri; BACARDÍ Cuatro, freshly squeezed lime juice and honey water. There is no way to spell the sound I was making while I ate this course, but let’s just say, it was very satisfying. As someone who wouldn’t usually choose duck at a restaurant, I was a little apprehensive about the main course; charcoal grilled duck breast with Cuban spices, cherry jus and pomegranate salsa. But one bite and I was a changed person. Talk about succulent, this course was pleasing to every sense. Unfortunately, I was too excited to taste it that I didn’t manage to get a photo before I started… but I think that speaks for itself. There was a choice of cocktail for this course, which was BACARDÍ’s take on red wine and white wine; Malecón and El Conde. So that we could have a taste of both, I chose the El Conde and Julie chose the Malecón. The dessert we were offered was a lime panna cotta with pineapple, mint and chilli, which ticked all sorts of taste bud boxes. In all honesty, it could’ve packed a bit more a punch, but that didn’t mean I didn’t finish it. The real hero of this course was the rum pairing. Ocho Cold Brew, which was Ocho Grana Reserva, Cold Brew Coffee and Aged Vanilla Sugar Syrup. I had three and I could’ve had more. 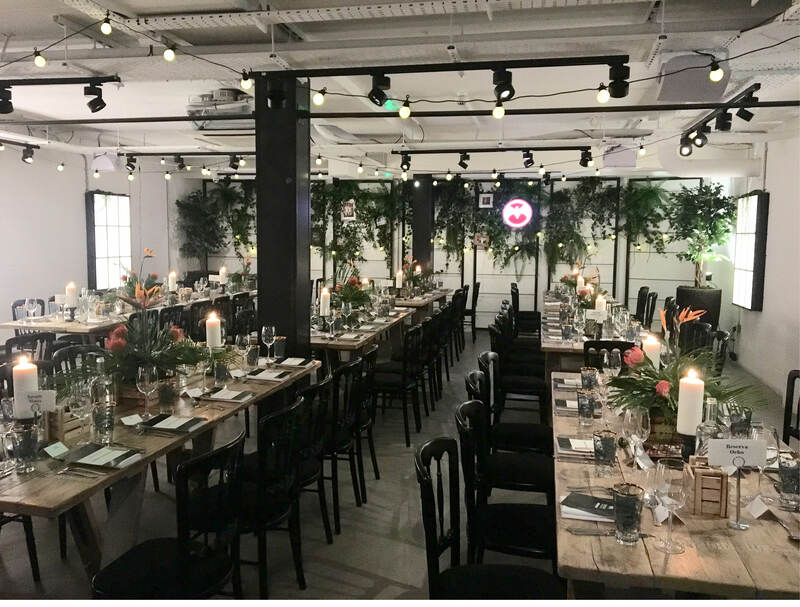 The whole event was well thought though from the first taste to the last, mix that with an incredible atmosphere and stunning venue and I can say with great confidence that the BACARDÍ takeover at The White Box was a huge success.